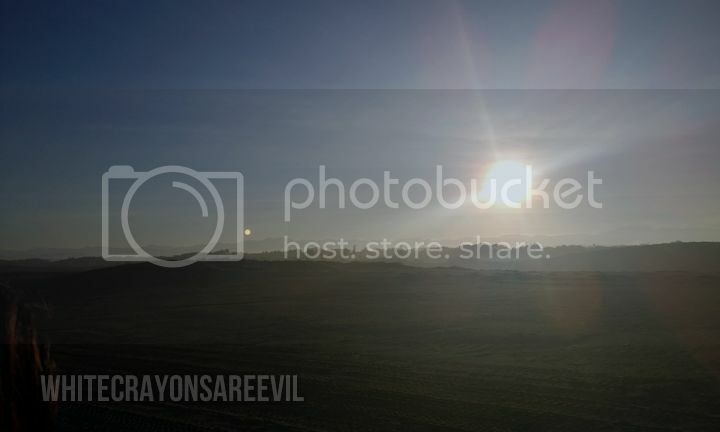 Previous: Welcome to the City of Laoag! 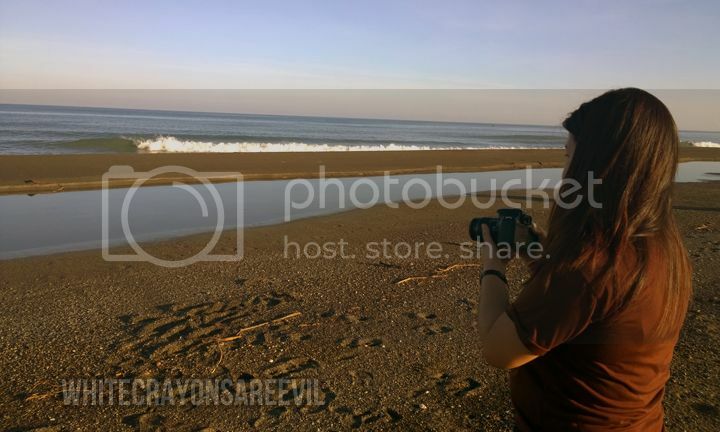 REALLY early in the morning, Kuya O picked us up from our hotel and brought us to…. The sand dune is the closest we have to a desert. It was a very stunning sight. There was a moment when the sea is on your right, and the vast sand is on your left. Nature is the best. 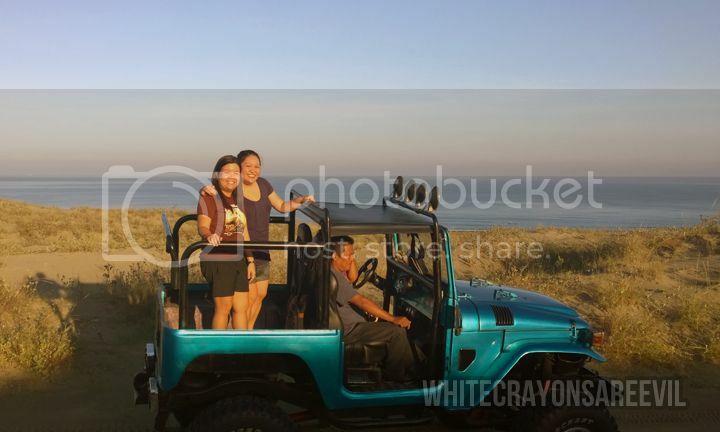 Kuya O knew our 4×4 driver and his assistant, so kuya October came with us. 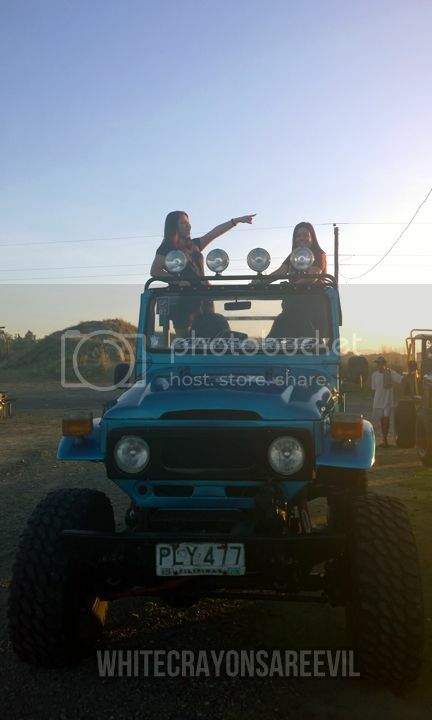 First there was a long, rough 4×4 ride and it was exhilarating, tiring and SO MUCH FUN! 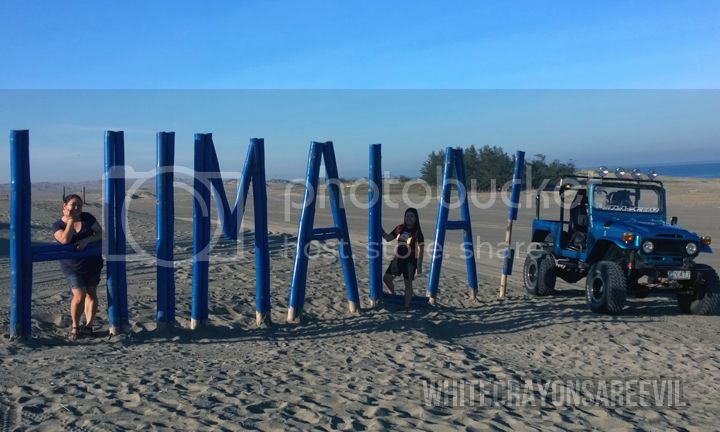 Since we went there on an off peak season, there were barely any tourist there and it was like we had the whole sand dunes to our selves. Which was a good thing since there’s not too much people to annoy with my loud screaming. 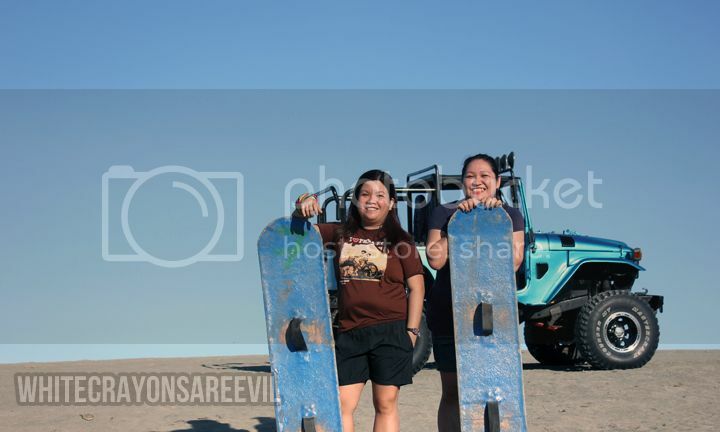 After the exhausting 4×4 ride, we then stopped near a descent and the Kuyas started preparing the sand board! Gasp! 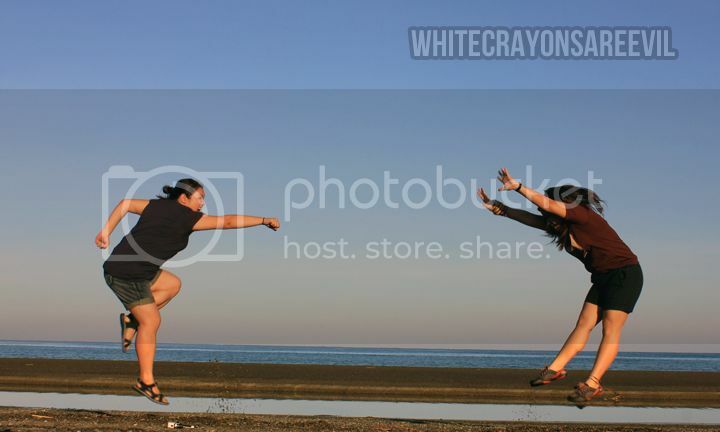 A little backgrounder: I have no sense of balance. It’s an ear thing. So I was 100% sure I would fall. And I did! But it’s not soooo bad at all. 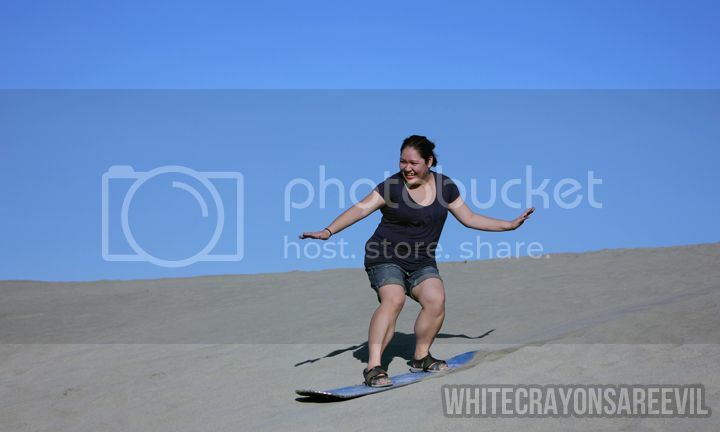 As a matter of fact I didnt fall the first time, which meant it’s not THAT difficult. Yey me! It was an honest-to-goodness fun! 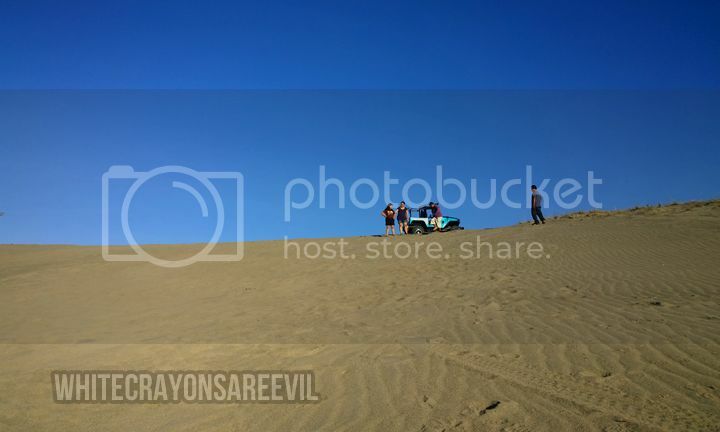 You can worry a lot of thing during the Paoay Sand Dunes trip – like, war, famine, death – but the one thing you don’t need to worry about is a horrible photo. The guides are PRO in taking pictures! DO NOT miss this on you next Norte trip. This is better with tons of your friends since you can split the bill for the 4×4. I think our ride can fit 2 or 3 more people. Some internet tips also told us to bring scarves as protection from the sand in case it became windy. We didn’t get the chance to use it, though. 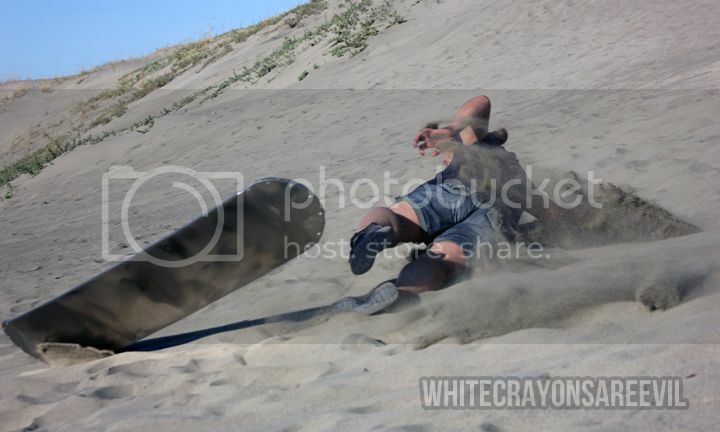 Do not be afraid to fall (applicable both in sand dunes, life and love). The sand is soft, so. During the 4×4, hold on to your dear life, but don’t forget to take in the glory of fun. Read the rest of the Norte 2014 adventure here.